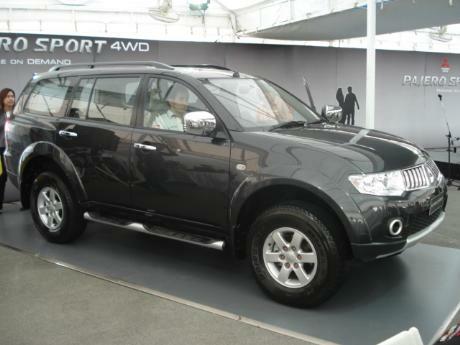 Mitsubishi released 2009 model of its breakthrough SUV Mitsubishi Pajero Sport 2009 in the Moscow show in September. Since Toyota Fortuner 2009 has also been released it should be an interesting match between the Titans for supremacy in the SUV segment. 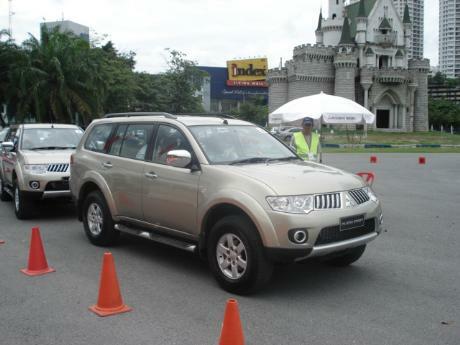 Mitsubishi Pajero Sport is a SUV or PPV in the same class as Toyota Fortuner or Isuzu MU-7. 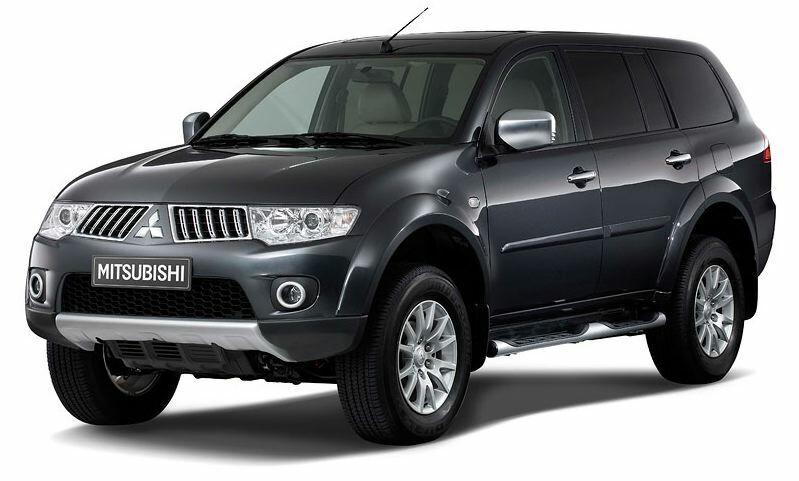 When Mitsubishi decided to retire Mitsubishi L200 Strada in favor of Mitsubishi L200 Triton in 2005, it also retired G-Wagon the PPV or SUV based on Strada. 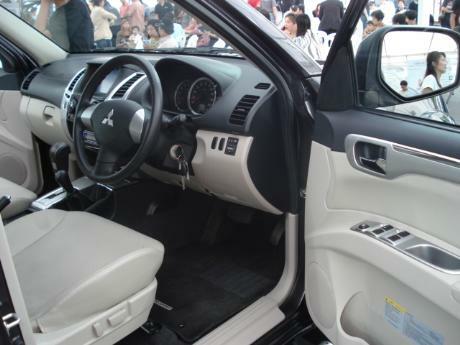 Mitsubishi fans were waiting for an SUV to be released and they have waited three years and their wait has been well rewarded with a Mitsubishi Pajero Sport SUV. 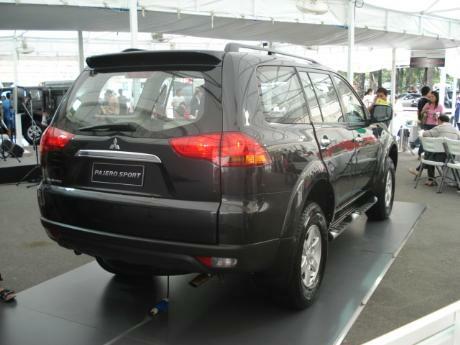 Pajero Sport has the same four wheel drive system as Mitsubishi Pajero. 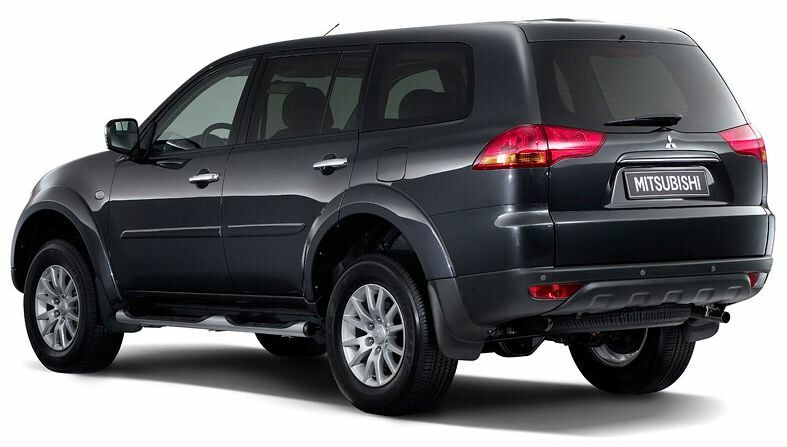 The Pajero Sport is based on the ladder-frame chassis from the Triton, and it will use 2500 cc and 3200 cc Triton engines. The Pajero Sport will be unveiled in Russia first, and will eventually make its way to other countries including the ASEAN region. 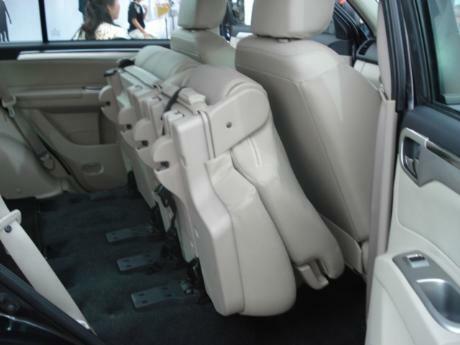 It will be offered in 5 and 7 seat variants, but we can expect the Thai model to have 7 seats, to match up to competition from Toyota, Isuzu and Ford. Pricing should also be in the THB 1 million range, topping out around THB 1.1 million. It is available now. For pics please scroll near the bottom of the page. In an effort to give the new G-Wagon a fresh presence in showrooms, Mitsubishi Motors Thailand is renaming it Pajero Sport. It will be rebadged in some other markets as well. Designed for less sophisticated markets outside the US and Western Europe, the Pajero Sport will be called Montero Sport in South America and Challenger in Australia. Development of the Pajero Sport is similar to that of the G-Wagon in that it is based on the one-ton pick-up manufactured in Thailand. 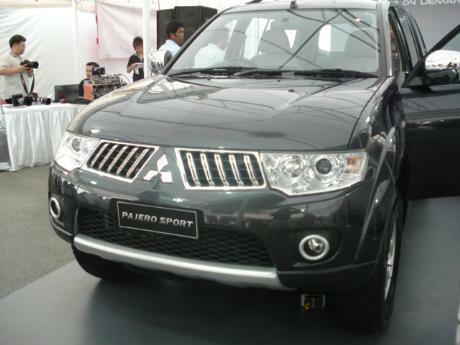 The front end of the Pajero Sport is sleeker than before and closely resembles that of the Triton workhorse. 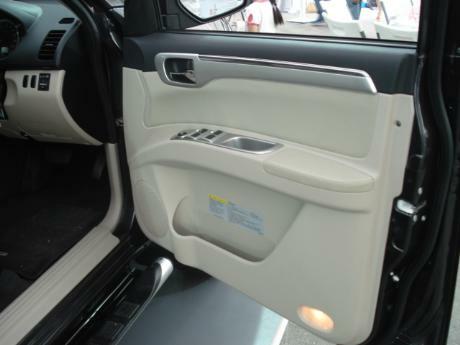 However, the Triton's banana-shaped C-pillars have been replaced by conventional upright themes for the Pajero Sport. The rear lights, on the other hand, ape that of the Lancer compact car. No pictures of the Pajero Sport's interior have been revealed, although expect it to be shared with the Triton's but tweaked to look and feel more upmarket. Mitsubishi won't reveal any dimensions until the Pajero Sport is unveiled at the Moscow motor show late next month, but only says there will be a five- and seven-seat layout for the cabin. 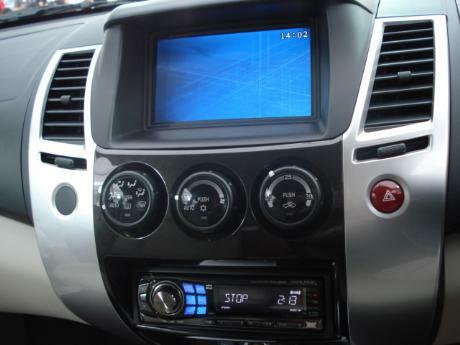 The latter configuration has been confirmed for the Thai market. This means that the Pajero Sport will have a more sensible wheelbase and overall length for better driving agility to match the Toyota Fortuner that's spun off the Vigo pick-up body. 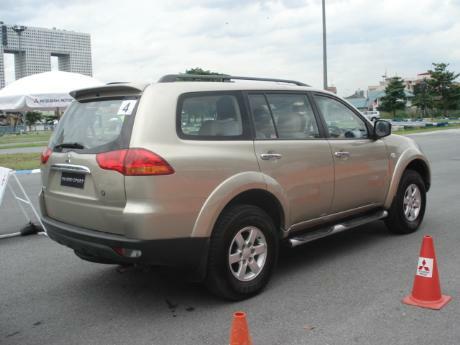 Pickup-based rivals like the Ford Everest (Ranger) and Isuzu MU7 (D-Max) have been developed in accordance to the now-defunct rules of PPVs (passenger pick-up vehicles). One rule stipulated that the wheelbase must be at least 2,850mm long which made the Everest and MU7 unnecessarily cumbersome to drive as a result of their wider turning radii and uncompetitive ramp angles for off-roading. The other rule these two had to comply by was the use of rear leaf springs that compromised on handling/ride balance. 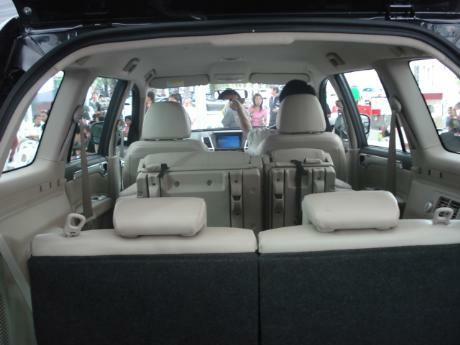 The Fortuner uses coil springs instead. And even though Mitsubishi hasn't mentioned it, insiders have confirmed to Motoring that the Pajero Sport follows the Fortuner's strategy, promising a more car-like drive and ride. The Pajero Sport will use the Triton's 140hp 2.5- and 165hp 3.2-litre inline-four turbo-diesel in place of the G-Wagon's older 2.8-litre counterpart. In other markets like Russia and the Middle East where oil isn't much of a concern, a 3.5-litre V6 petrol variation is available, but it won't be available in Thailand for good reasons. There will be 2WD and 4WD options to choose from, most likely the Everest's approach whereby only the bigger engine gets extra traction for mud-trekking. 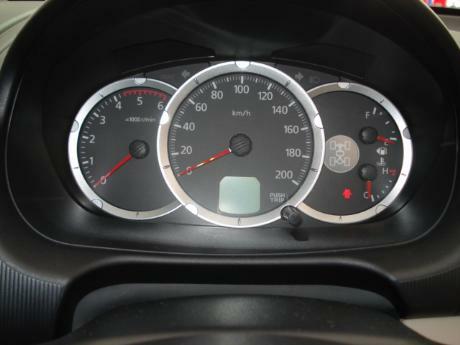 Gearbox options include five-speed manual and four-speed automatic with the 4WD version getting a full set of switchable gears known as Super Select in Mitsubishi speak, currently used in the Pajero flaghip SUV. Like before, the Pajero Sport gains on the privileged PPV tax rate of just 20%, enabling it to match prices set by rivals - between B1-1.3m. Had it not been developed to PPV rules, it would have faced passenger car tax rates of between 35% (2.5) and 50% (3.2) just like any other ordinary car-based SUVs. The Pajero Sport's introduction here has been brought forward to October from the year-ending Motor Expo. Although the G-Wagon replacement was long overdue, the state of its competition suggests it was a timely move by Mitsubishi. The Fortuner is approaching mid-life with a facelift due any time, while the Everest and MU7 are soldiering on with dated packages. This should keep the Pajero Sport fresh until the end of the decade. Mitsubishi insiders are bullish with the Pajero Sport which should help put the brand back on the best three of the SUV sales charts. Mitsubishi Motors Corporation will unveil its new Pajero Sport SUV model at the Moscow Auto Salon 2008 (The Moscow Motor Show) to be held at the Crocus Expo in Moscow between August 26 and September 7 (opens to the public on August 29). The new Pajero Sport will be phased in selected regions such as Russia, the ASEAN area, the Middle East, Latin America and Oceania starting in the fall this year. *1 The model will carry a different name in different markets: Montero Sport in South America, Nativa in Latin America and Challenger in Australia. *2 The new Pajero Sport will neither be sold in Central & Western Europe nor in North America, where other types of SUVs are favored. 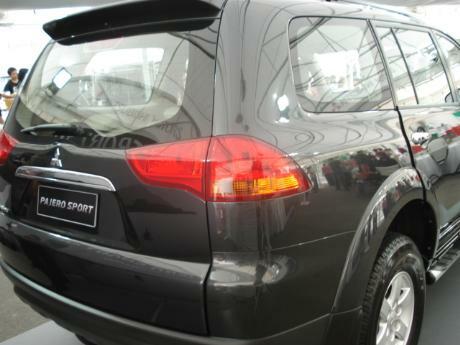 The new Pajero Sport features dynamic and sporty exterior lines, complemented by a stylish and vast interior space that engenders a sense of comfort, purpose and safety. 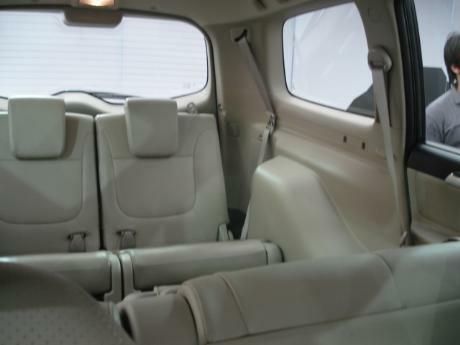 This cabin, available in either a 2-row (5-passenger) or 3-row (7-passenger) seating configuration is also very practical with water-repellent seats and a waterproof luggage compartment floor, ideal for leisure use. Mitsubishi’s latest SUV will be powered by a choice of three engines which all deliver outstanding motive performance and fuel economy: 2.5-liter and 3.2-liter common rail direct injection diesel units and a 3.5-liter V6 gasoline unit*3. In terms of architecture, the body of the Pajero Sport is mounted on a new ladder frame to realize high levels of durability and reliability, consistent with the needs of its target markets. Mitsubishi’s All Wheel Control philosophy, forged through its participation in the Dakar Rally and other contests, informs all of the company’s 4WD systems. The new model will use the Super Select 4WD system, also used in the Pajero*4 SUV, which transmits drive torque effectively to all four wheels on all types of surface. The body, frame and driveline not only give Pajero Sport outstanding off-road performance but allow it to deliver excellent drive dynamics over all surfaces. The choice of the Moscow Motor Show to unveil the new Pajero Sport is a clear indication of Russia’s eminent position within Mitsubishi Motors. In fiscal 2007 Mitsubishi Motors sold some 100,000 vehicles on the Russian market, boosted by the ever successful Lancer line-up and a popular range of SUVs. MMC is confident that the new Pajero Sport SUV will make a strong addition to its SUV range, which also includes the Pajero and Outlander. Coming on the heels of the introduction of the Lancer*5 sports sedan last year, this will allow MMC to expand SUV sales and hit a total sales volume of 140,000 units on the Russian market in fiscal 2008.